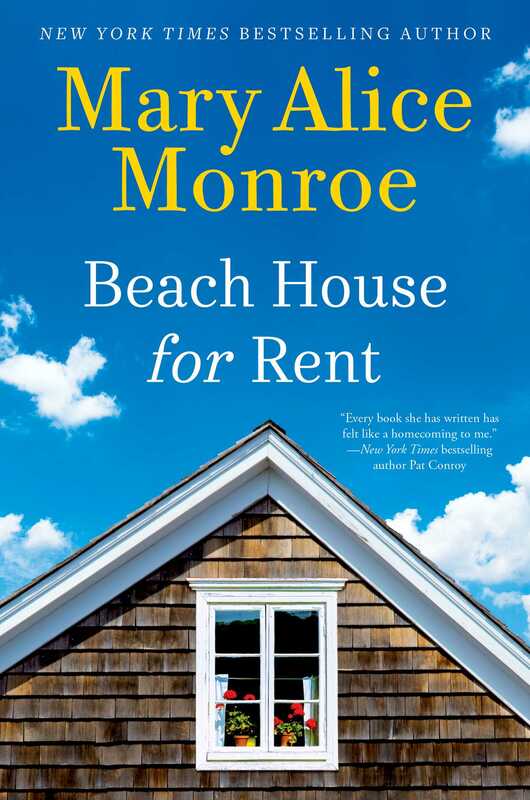 Bestselling author Mary Alice Monroe returns to her beloved Isle of Palms to tell the poignant, charming story of two women, one summer, and one very special beach house. The beach house sat perched on a dune overlooking the Atlantic Ocean. Small and yellow, it blended in with the waves of sweetgrass and sea oats and the delicate yellow prim-roses for which the cottage was named. For eighty-five years it had endured the fury of hurricanes, the rush of tidal surges, and the ravages of the salt-tinged air. It had withstood the test of time. But Cara was more like her father than he’d realized. She’d turned heel and run as far away from her parents, that house, Charleston, and all the expectations and demands of a southern woman from South of Broad as she could get, heading to points north to seek her freedom, fame, and fortune. Her father was as good as his word. He’d cut her off and never looked back. He refused to pay her tuition, so she’d never gone to a prestigious Boston college. Instead she’d nailed an inter-view for an entry-level position at an advertising firm in Chicago, and had gone to night school for seven years while working full-time, finally earning her degree in communications. She’d climbed the corporate ladder and, though she wasn’t wealthy, she’d achieved success on her own merit. Cara had come home only once, for her brother’s wedding, and sent a handful of Christmas and birthday cards over the years. There was the occasional phone call with her mother. Her relationship with her family was polite at best. “It’s a pretty place,” she said, looking again at the beach house. And it was true. With its mullioned windows and broad porch filled with baskets of ferns and white rockers, she’d always thought that it was a picturesque image of a lowcountry cottage. “Say what you will about all these mansions,” she said with another wave of her hand, indicating the enormous newer houses. “You can’t buy that old-world charm. She led the way around the cottage, her shoes crunching in the dry sand and shells. Cara kept the property wild, as nature had intended. Only palm trees, wild grasses, and flowers sprouted on her property, especially in the spring, when the is-land was practically bursting with life. Wildflowers colored the dunes with soft yellows, vibrant blues, and fiery oranges. In the trees birds sang out mating calls, while overhead migrating birds soared, returning home from southern climes. Her brother was, in fact, wearing business attire, she suddenly realized, not the sporty shorts and Tommy Bahama shirts he wore for leisure. His gold signet ring caught the sun-light and drew her attention to the papers he was carrying in his doughy hand. Cara sighed inwardly, even as she steeled her resolve. "Reading this novel feels like a long, luxurious trip to the beach. 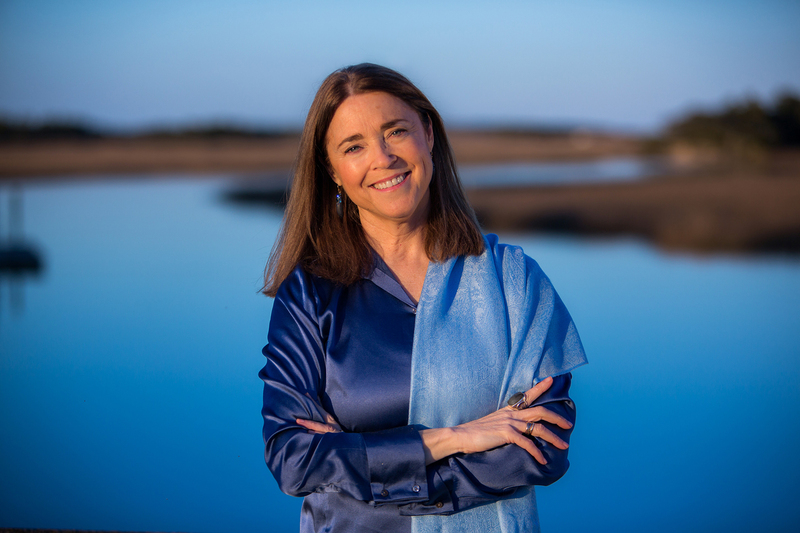 Mary Alice Monroe writes gorgeously, with authority and tenderness, about the natural world and its power to inspire, transport, and to heal. Readers will love this story of two unforgettable women–one reeling from an unexpected tragedy, the other drawn into a daring and passionate new love." "Her hallmark knack for plumbing the inner depths of her characters and connecting them with one another in ways that feel perfectly organic – all the while weaving in those environmental issues near and dear to her heart – is a winning formula that’s made Monroe one of the most beloved authors in the nation and a well-known champion of conservation causes."